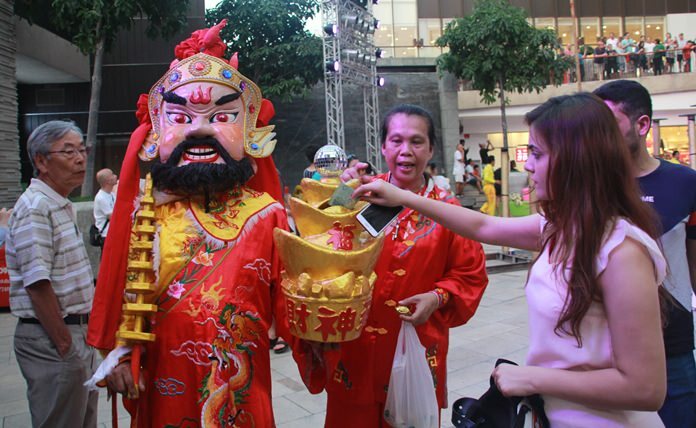 With cash-strapped city hall passing on staging any Chinese New Year events, Pattaya shopping malls, hotels and hospitals took up the mantle for the “year of the dog”. 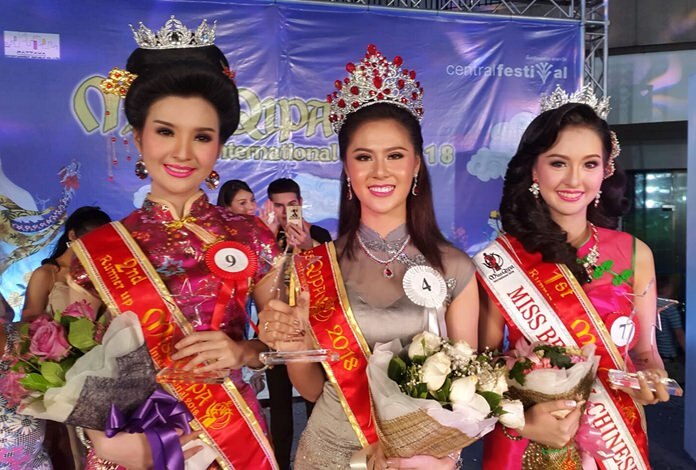 It didn’t stop the area’s most beautiful Qipao contestants from competing, though, and Muanfan ‘Bonus’ Na Nan (center) was crowned Miss Qipao International at Central Festival Pattaya Beach, while Kankanit ‘Bam’ Mungmee earned first runner-up, and Intuorn ‘Fa’ Seela finished 2nd runner-up. 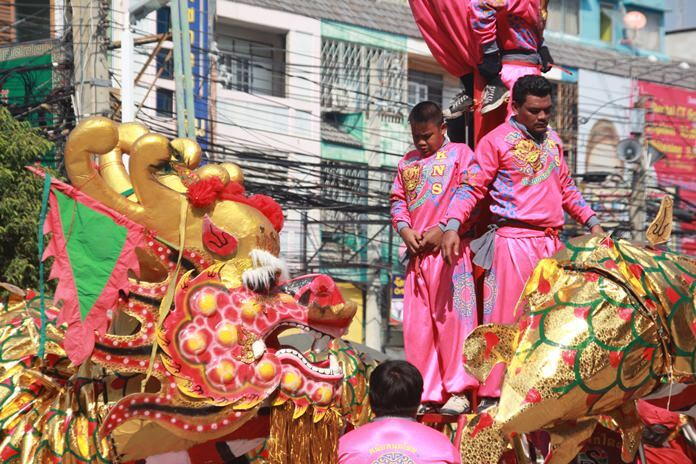 The beach resort was filled with lion and dragon dances, contests and fun-filled events. 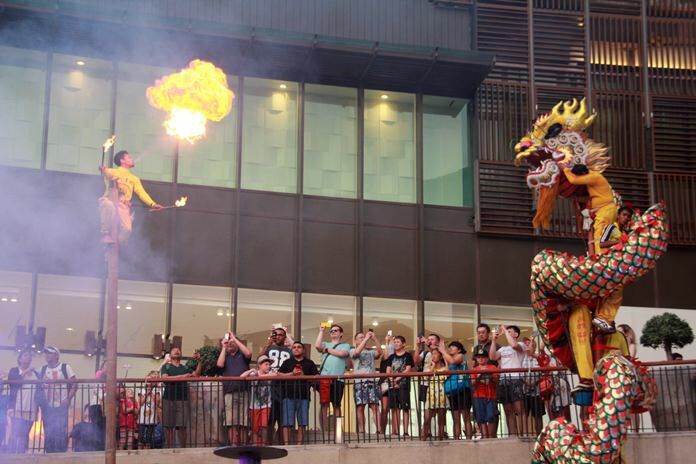 With cash-strapped city hall passing on staging any Chinese New Year events, Pattaya shopping malls, hotels and hospitals took up the mantle for the “year of the dog”. 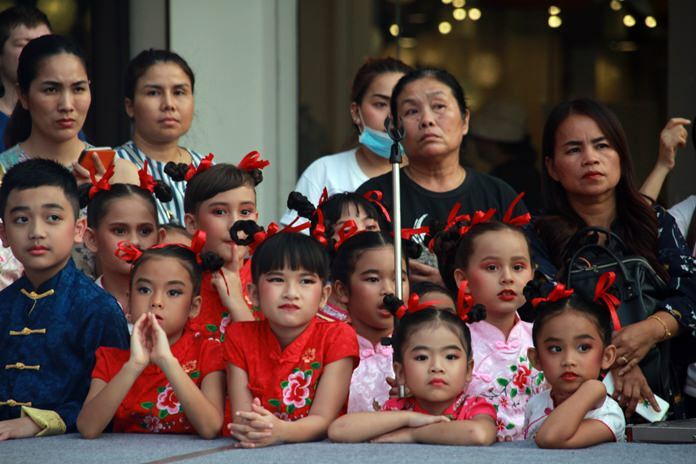 Young women dressed in body-hugging Chinese dresses were the main attraction at Central Festival Pattaya Beach, which hosted the 6th annual Miss Qipao pageant. 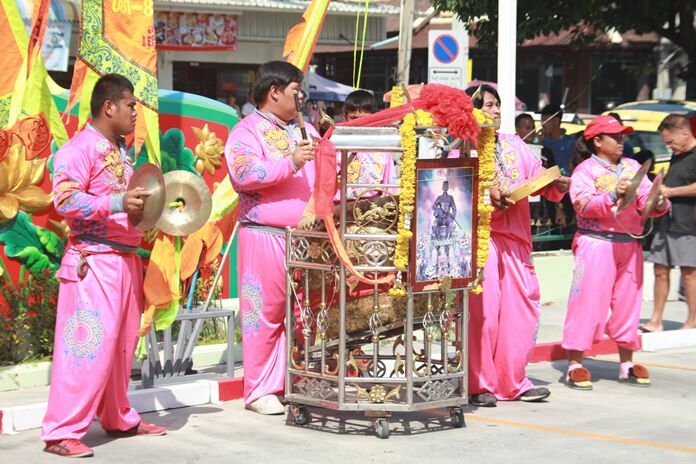 Ying Muanfan Na Nan, 25, took the crown and 30,000 baht for first place with Kankanit Mungmee, 18, winning 10,000 baht for runner-up and Intuorn Seela, 21, taking home 5,000 baht for third. 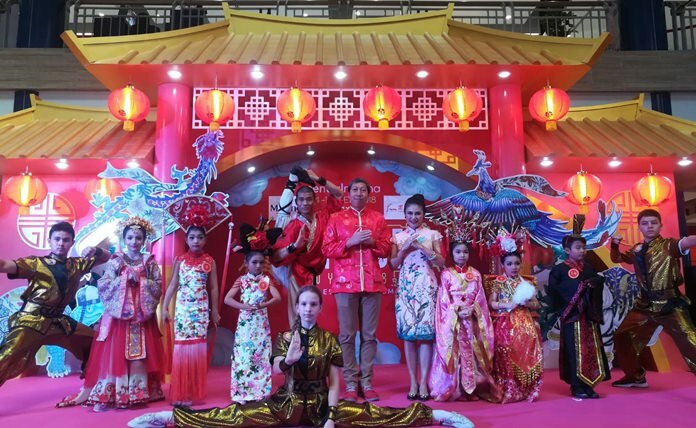 In addition to Kankanit also winning the Miss Beauty Chinese Look prize, Kanyamat Insrathep won Miss Popular Vote and 16-year-old Chatriya Chansamran won Miss Photogenic. All three awards were worth 3,000 baht. 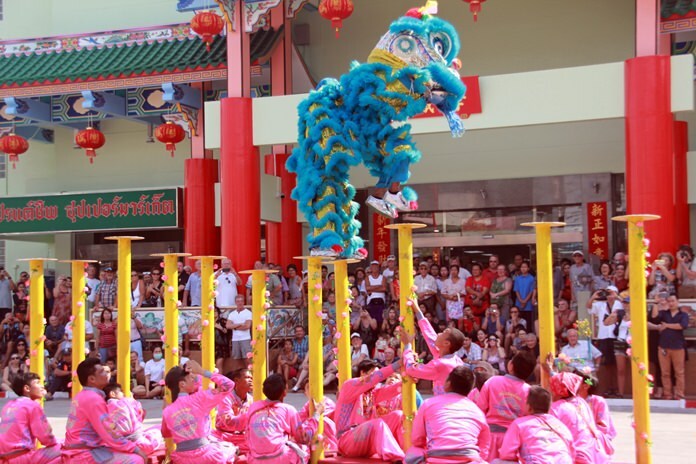 Down the road at Central Marina, General Manager Kwanchai Boonaree hosted the North Pattaya mall’s Chinese New Year festival, featuring stage shows, lions and dragon dances, a greasy-pole climbing contest, kung fu demonstrations and more. Lots of Pattaya’s tiniest residents were dressed for the occasion at Bangkok Hospital Pattaya, which dolled up all the newborns in red outfits made of delicate fabrics to comfort the infants. 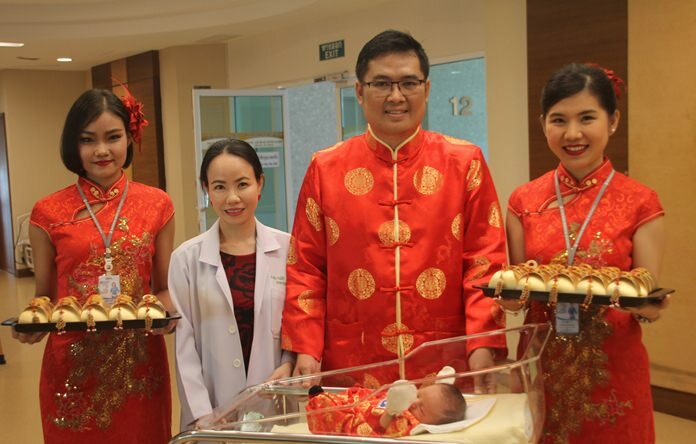 Hospital Director Dr. Surachai Khampakdee took reporters on a tour of the maternity ward where staffers gave out new year’s presents to the very happy new parents. Donations are made to the Goddess “Thepajao Kuan Ou’ for good fortune. 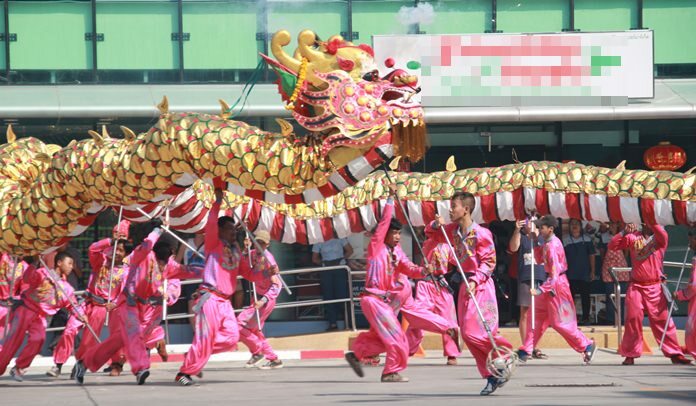 The Bay Pattaya on Pattaya Beach used its 4-rai of land to host games and sports for Chinese New year, with directors Baopimpa and Ana Wongsingh introducing performers of lion and dragon dances. 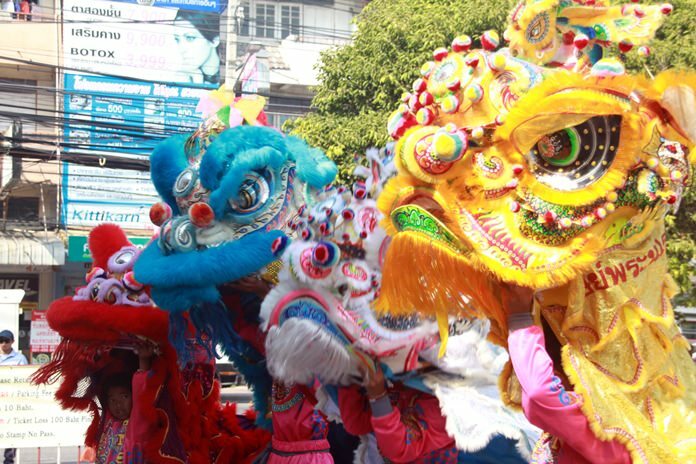 Pattaya itself staged no official Chinese New Year events for the first time due to budget constraints. 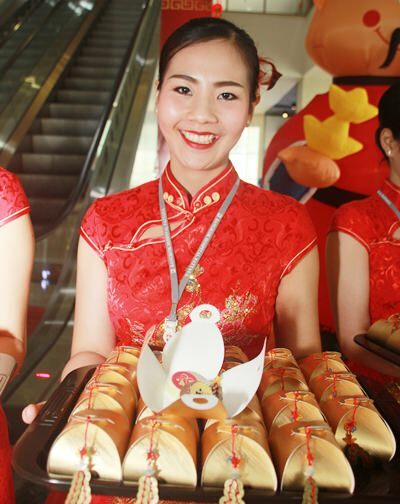 Chinese New Year sweets are given to patients at Bangkok Hospital Pattaya. 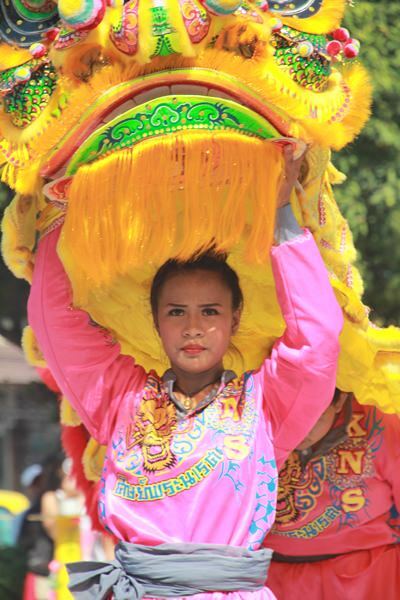 A young lady performs the lion dance. 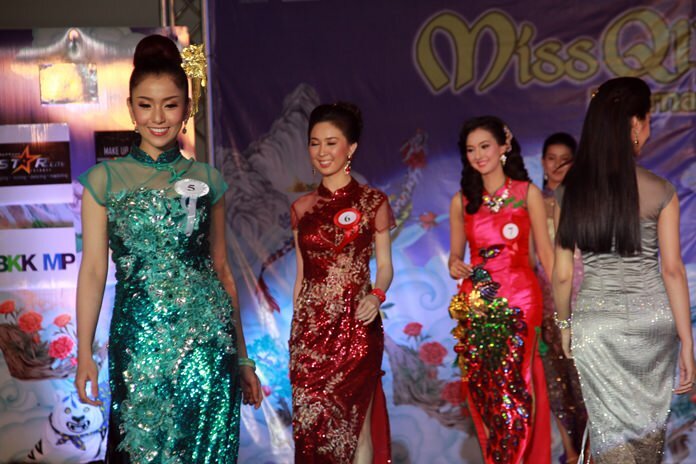 Gorgeous models compete in the Miss Qipao International semifinals at Central Festival Pattaya Beach. 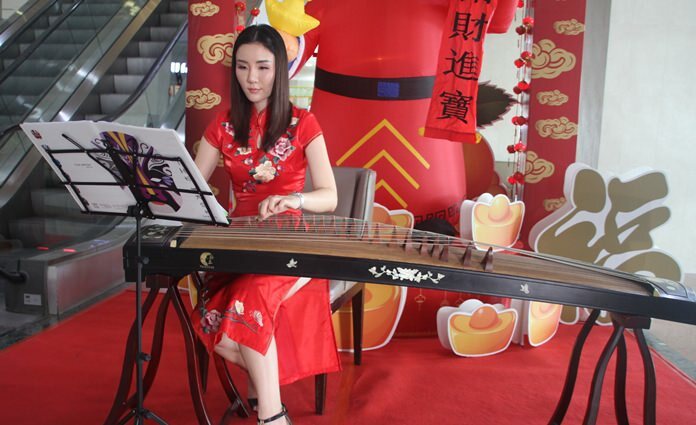 Kwanchai Boonaree, the general manager of Central Marina, hosts the ‘Marina the Great Chinese New Year 2018’. 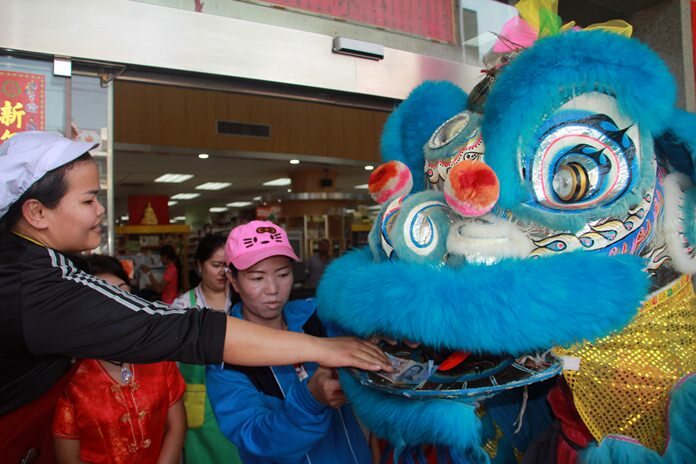 The lion dance draws a laarge crowd to Friendship Market on Pattaya South Road. 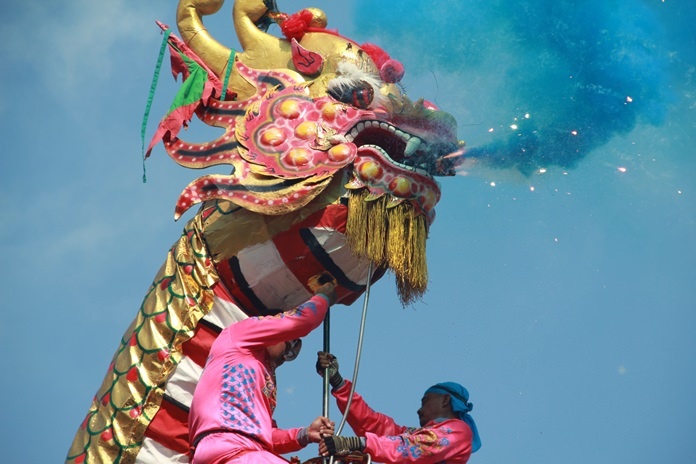 The lucky lions have three colors, including red, blue and yellow. 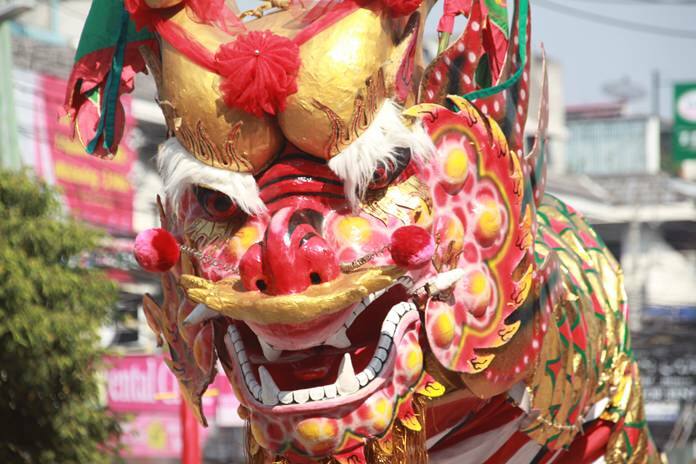 Angpao envelopes are given to the lions for good luck. 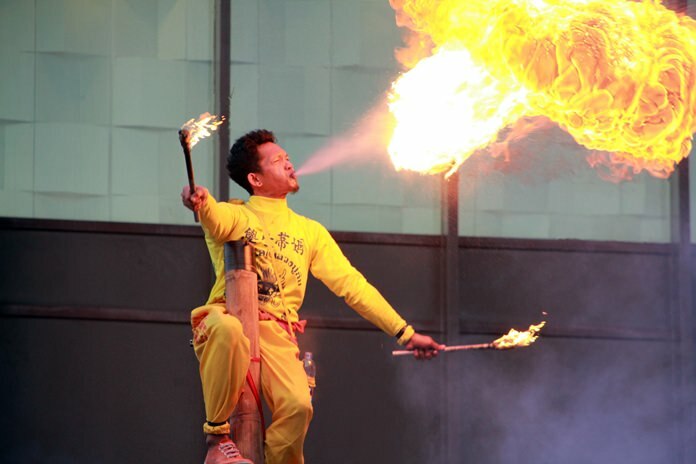 Apart from the Miss Qipao, Central Festival also hosted other traditional Chinese games, shows and performances. 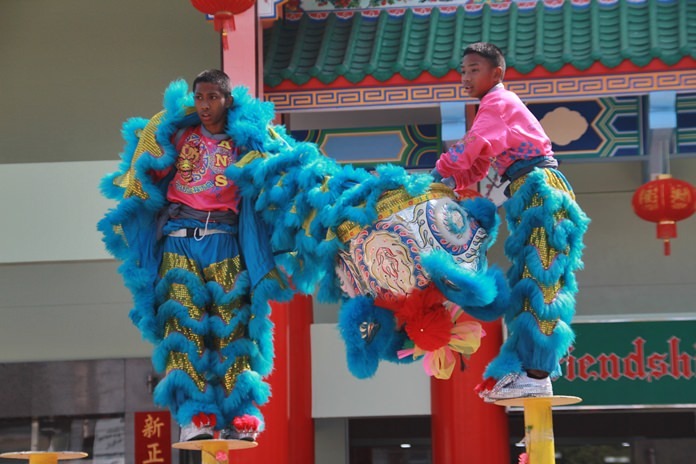 A team of young performers waits their turn on stage.